This has got to be one of 2017's best artbooks. There are lots of great character designs, plenty of beautiful locations, and the book's a thick 368-page hardcover. What more can you ask for? The artworks featured in this book are wonderful. Most character designs are created by Arnold Tsang, whose style I can remember from the Street Fighter characters that he has drawn -- he also drew the cover for Street Fighter Tribute. I love his style which has a very stylised and anime look to them because of the colouring and line art. The number of characters he has drawn for the game will probably make your jaw dropped. It's not just Arnold Tsang's art though. There's of course a team of artists who contributed other character art too. Such as designs for the skins and the sprays. So you really do get to see a wide variety of designs, including the chibi, comic, vector style art. The controversial skin of Symmetra which was obviously inspired by Indian gods is also included. That's also part of why the game and characters are so awesome, because the ideas come from everywhere. The environment artworks are also great, and so are the artworks for the props, promotional art, animated shorts. In short, there's a lot to see in this book. Beautifully coloured illustrations, sketches, storyboards and more. There are also some text talking about the characters. All in all, it's an artbook not to be missed. It's well worth the money and most highly recommended. 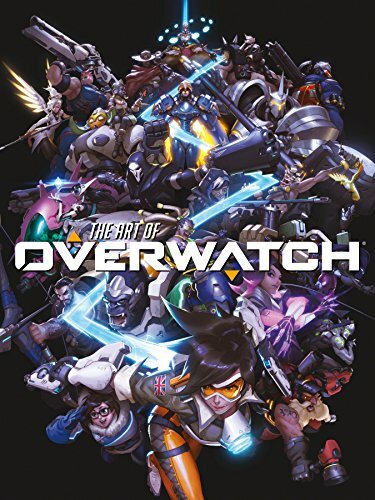 There's also a limited edition of the artbook too. 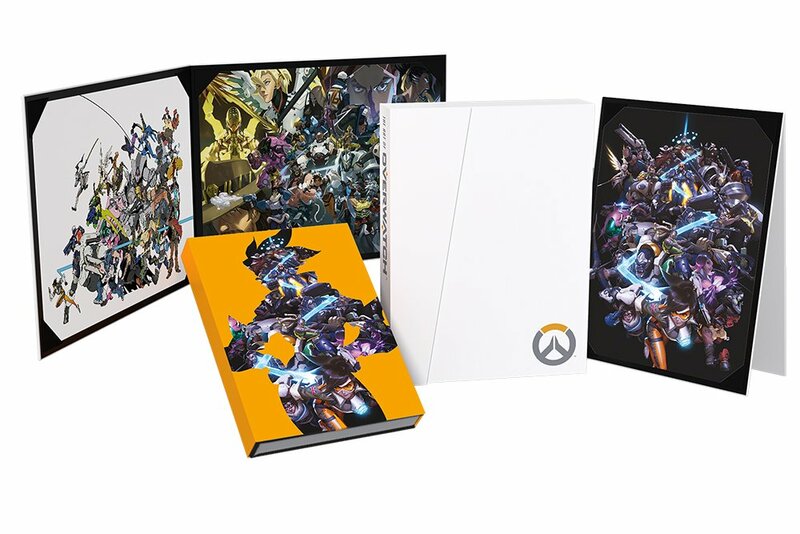 It comes with a beautiful clamshell box with magnetic closure, an acetate slipcover featuring Tracer as well as two portfolios containing a total of three prints.